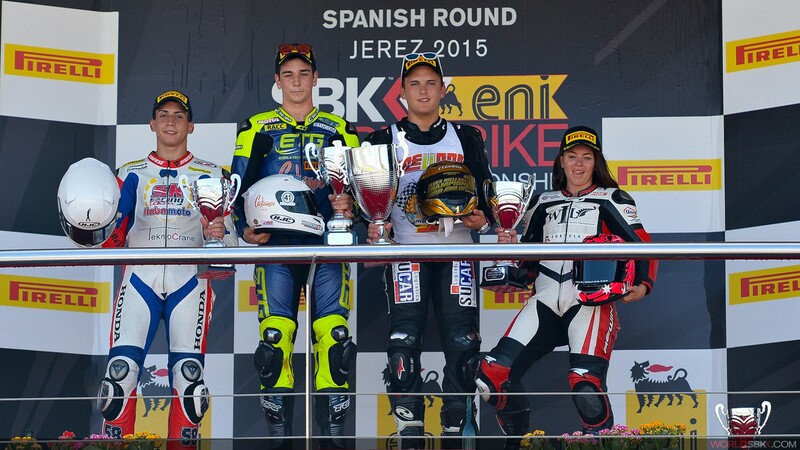 2 part race decides the 2015 Pata European Junior Cup Champions. 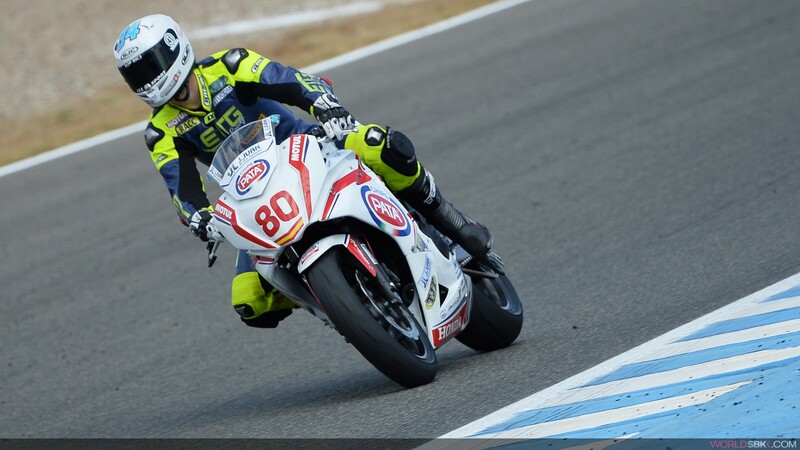 Spain’s Javier Orellana (Europ Foods) has won the 2015 Pata European Junior Cup after finishing 3rd in today’s penultimate round at Jerez, which was won by compatriot Xavi Pinsach who was making his debut in the series. 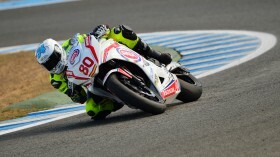 Italy’s Emanuele Puscueddu (SK & Itaba Moto) finished 2nd, missing out on the win by 0.07s. 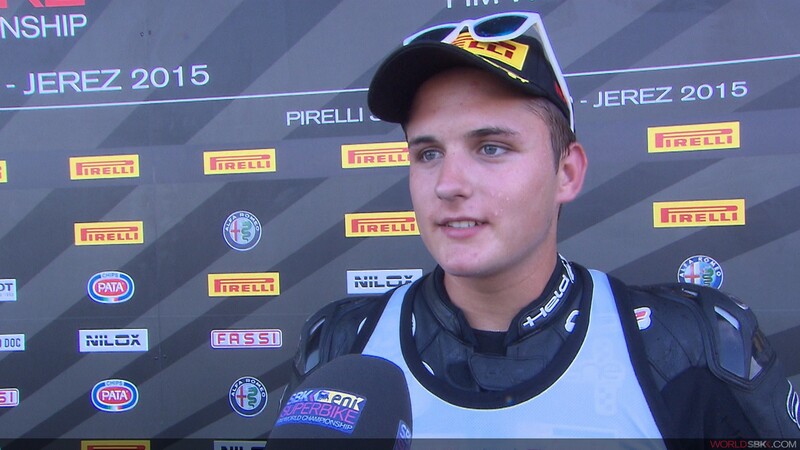 Paolo Grassia (MVR Racing Team), Giusseppe de Grutola (SK & Itaba Moto) and Harun Cabuk (KNN54 TMF Team) rounded out the top 6. Avalan Biddle finished 19th overall but was once again the leading female competitor making her the first ever winner of the EJC FIM Women’s Cup. The final round of the series takes place at Magny-Cours in a fortnight. Row 1 completed by Italians Pusceddu and De Gruttola.